Good morning. It's Thursday, Jan. 10. • A Beverly Hills heiress turns to Trump to block a subway. • North state ranchers learn to make peace with gray wolves. • And 15 places you need to go to see the real California. A threat by President Trump to withhold wildfire relief from California was condemned by state officials. Trump again blamed the fires on "gross mismanagement" of forests, a claim fire professionals called "flat wrong." About 60 percent of California's forests are federally managed. "It's just shocking that a president would hold these suffering communities hostage in exchange for state forest management policies he knows nothing about," an environmental law professor said. 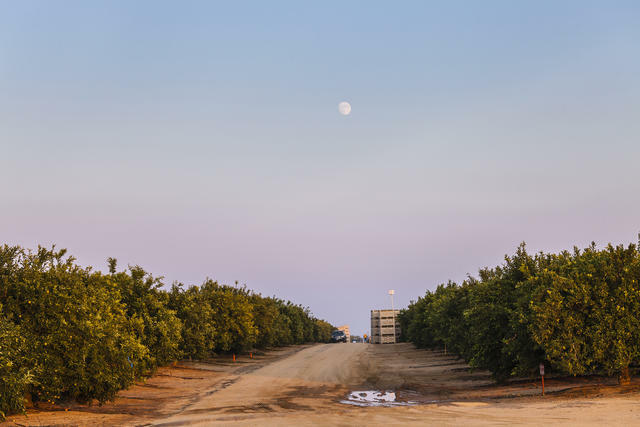 An orange grove in the San Joaquin Valley, both a breadbasket and a pollution belt. The San Joaquin Valley is a cornucopia that supplies a quarter of America's food. Thanks to cows, cars, and pollution-trapping mountains, it's also home to some of the filthiest air in the nation. Doctors have attributed as many as 1,300 premature deaths each year to the pollution. One in 6 kids has asthma. Even so, new pollution regulations face resistance. "You can have all the air you want," an agriculture lobbyist said, "but if you don't have food, what have you got?" 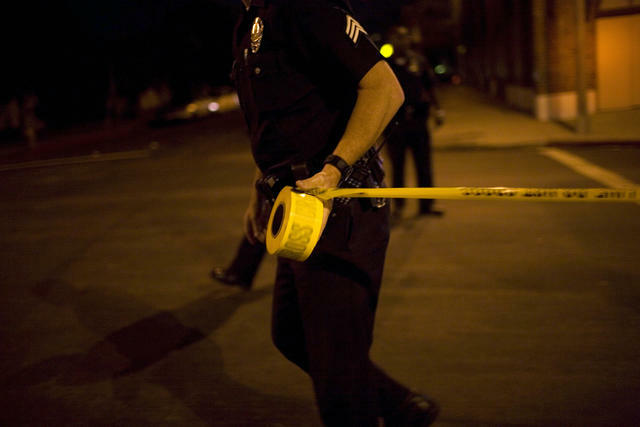 Taping off a crime scene in Los Angeles. A new transparency law has begun to unwind California’s strictest-in-the-nation curtain of secrecy around law enforcement records — and police unions are putting up a fierce fight. Some agencies have been shredding documents. Others are readying court battles. A civil liberties group said the moves suggest attempts to conceal misconduct. California's Supreme Court blocked 10 pardons by Gov. Jerry Brown in the final weeks of his term, the first time it had exercised the power since 1930 — and nobody seems certain why. Experts theorize that the court concluded Brown, who has been generous in granting clemency, abused his power. One inmate whose commutation request was rejected called himself a "political casualty." Fog enveloped the Central Valley on Dec. 8, 2018. It's Tule fog season. 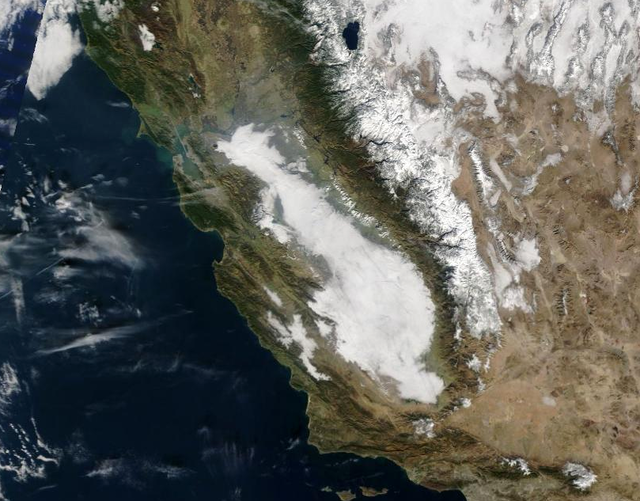 The weather phenomenon occurs in the Central Valley during the winter, especially after rains, when the air is moist and still. As the ground chills overnight, water vapor condenses and forms what is essentially a cloud on the valley floor. It can be dangerously blinding to drivers. The fog's prevalence, however, has been in decline, a worrisome development for crops that rely on its cooling effect to kick start their winter slumber. The reasons are uncertain. 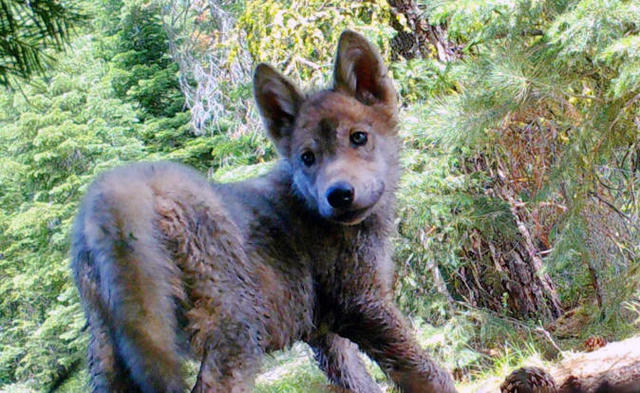 A wolf pup in Lassen County. Gray wolves have returned to far Northern California for the first time since the 1920s. It's a development celebrated by environmentalists and bemoaned by many ranchers who face the prospect of livestock killings. So they are experimenting with nonlethal deterrents, like flashing lights and guard dogs. "I don’t want to sound like a wolf-hugger," one rancher said. "But they do symbolize a part of this country that I don't want to see ever lost." Coal, a McNab mix, and his son, Coal Miner, on a ranch in Potter Valley. 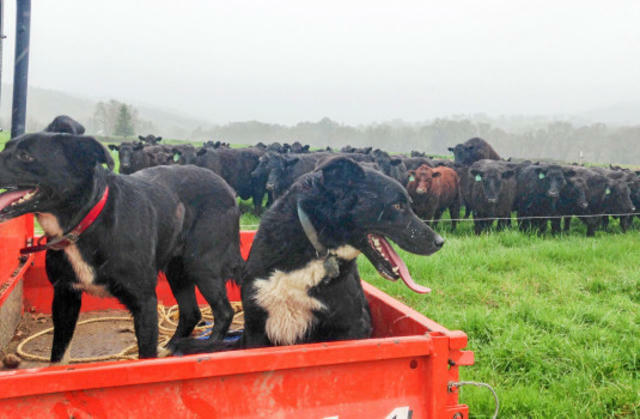 Mendocino County has its own dog breed. Well, not officially. Kennel clubs don't recognize the McNab Shepherd as a distinct breed. But the animal stands alone as a cattle herder. McNabs were bred from border collies by a Scottish immigrant in the late 1800s. Over time, they became stronger and more assertive in imposing their will with cows. In recent decades, McNabs have exploded in popularity. "My goodness they're athletic," one rancher said. "A McNab can jump over a bull’s back and bite it in the nose. It can clear a 6-foot fence no problem." When a toddler, stung by a bee, started crying inside a Dollar Tree store in Sonoma County, a nearby woman grew annoyed. She yelled out that the "Mexican baby needs to shut up," officials said. Then she hit the mother and child. Now, after admitting to a hate crime, she's been sentenced to four months in jail. This is the Bridgeport Covered Bridge on the South Yuba River in the Sierra foothills. Built in 1862 as part of the heavily traveled route to the Nevada silver mines, it is the longest single-span covered bridge in the world. 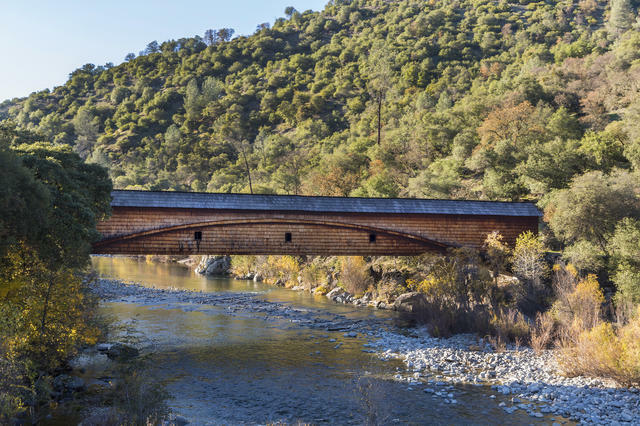 Rail transport made the bridge largely obsolete, but it has enjoyed a second life as a centerpiece of the South Yuba River State Park, a popular swimming hole destination. Closed years ago for repairs, it's expected to reopen later in 2019. Celebrations are already being planned. 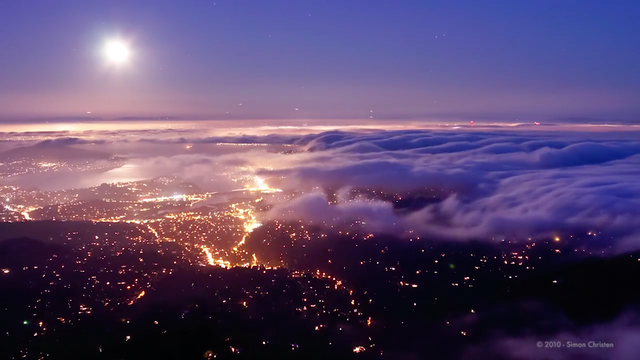 In case you needed a reminder of how gorgeous the Bay Area is, watch this collection of time lapses captured around the region over the span of a year. In the video, titled "The Unseen Sea," the marine layer appears to lap the hills like waves upon a shore. Critics say a plan to extend a subway line underneath Beverly Hills High School poses a danger to children's safety, despite numerous studies to the contrary. The anti-subway cause has grown increasingly hopeless as courts have repeatedly upheld the plan. But investigative reporters found that a local heiress is working another strategy: leveraging personal ties to President Trump to block funding for the project. A lively discussion erupted on social media after a video was posted that showed Los Angeles drivers zipping around a stopped school bus. Some wondered: Aren't cars required to stop? Absolutely — and in both directions. A school transportation official told the California Sun that reckless drivers were an unfortunate reality in Los Angeles. "We have to be fully vigilant at all times," Ryan Solchenberger said. Equally troubling are motorists who fly through crosswalks near schools. Last month, a crossing guard was killed in Simi Valley, just two months after another guard was struck. Kevin Hart reaffirmed that he won't host the Oscars after a backlash over his anti-gay Twitter history. In a tense interview, he said he was "done" with the controversy. So the Academy is planning to go without a host for first time in nearly three decades. The role of emcee will be played instead by a selection of stars. This is Montaña de Oro, one of the largest coastal state parks in California. 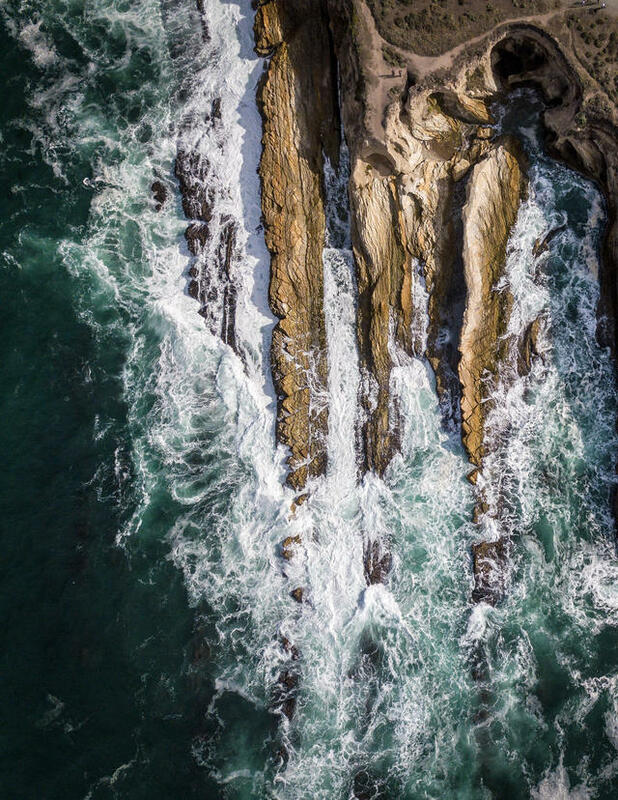 The 12-square-mile expanse just south of Morro Bay has dramatic reefs, secluded beaches, and some of the best horse and mountain bike riding in the state. But it is the cliffs "that are the most mystic and stirring," the L.A. Times once wrote. The newspaper ranked the park among 15 places to see the "real California." 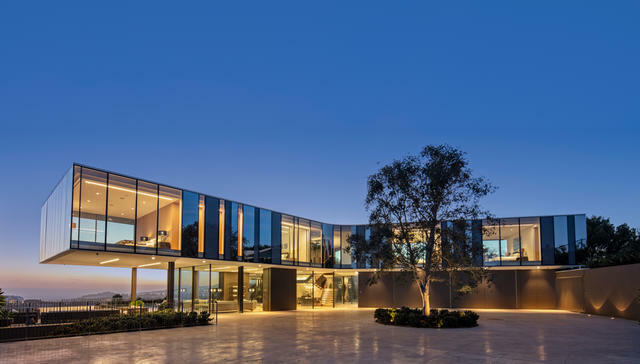 A three-winged spec home in Bel-Air has panoramic views. An earlier version of this newsletter quoted an L.A. Times article that referred to "1,000-foot cliffs" at Montaña de Oro. The cliffs are indeed majestic, but they don't rise nearly that high.